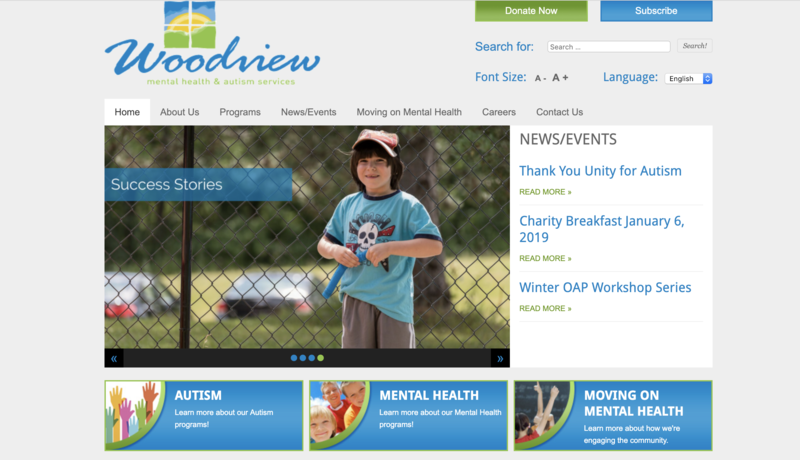 "Woodview is a not-for-profit, charitable mental health and autism agency. We provide service to children, youth and adults with both mental illness and autism. We are committed to transforming the attitude of mental health and autism while providing innovative and integrated approaches for families and clients to live socially and emotionally healthy lives. In the agency, I am a program manager of one of the autism programs for children." What attracted you to the product? "I have a team of 14 employees -11 frontline employees and 3 clinical supervisors. As a manager I was struggling to stay in the loop with my entire team on day-to-day basis, and through my annual 360 review my team had requested more individual acknowledgement and touch points. I had put things it place, but it wasn't meeting the need and I found it difficult to be consistent. Having a weekly pulse of where my team was at - this was the biggest draw for me. To be able to get a sense of how my team was doing weekly was what I needed in order to navigate the up-coming government changes to our program. It would also give me to opportunity to problem solve more immediately and create a space for my team to share authentically what was and wasn't working for them." What features were you looking for? "I wanted a program that would provide me with data I could track. The line graph displaying how my team feels about their week has been very informative - allowing me to be proactive and manage challenges quickly. It's also a great way to connect with each individual on my team on a weekly basis and to be able to acknowledge them." How easy was it to get setup? "It was very easy to get started. As my team has expanded it been very easily to add more employees. The individuals on my team were very excited for this program when I introduced it and have embraced it fully. They really enjoy the kudos and they take full advantage of this piece." How has this helped your team? "As a manager, it has saved me time and allows me to be more efficient. Prior to Friday Feedback I found it incredible challenging to connect with the individuals on my team regularly- I was meeting with them quarterly. Now I know how they're doing weekly and can meet with them on an as needed basis more frequently." "I recently has a situation where a part-time employee noted she's had a "not great" week. Through the response box I asked for more clarification on what had her feeling this way about her week. She then sent me an email articulating that she had concerns about how the we had filled a recent full-time position with another team member. I was then able to set up a time to meet with her face-to-face to find out what her concerns were and answer the questions she had. The conversations went well and she left the meeting feeling better and more clear about how the decision was made. Prior to FF these sorts of concerns would come up at annual reviews - months after the fact, making it more difficult to resolve."